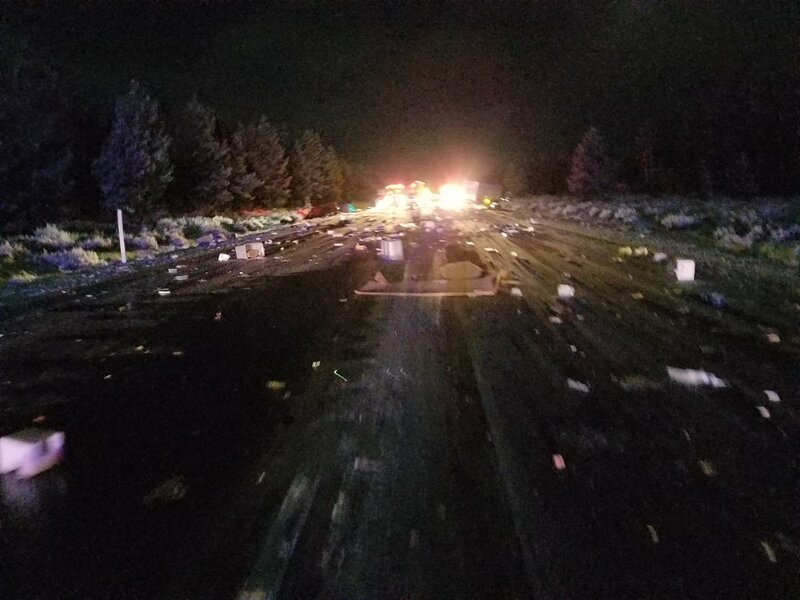 On December 3rd at approximately 1:52am, the Oregon State Police responded to a fatal motor vehicle collision on US 97 near milepost 226 in Klamath County. 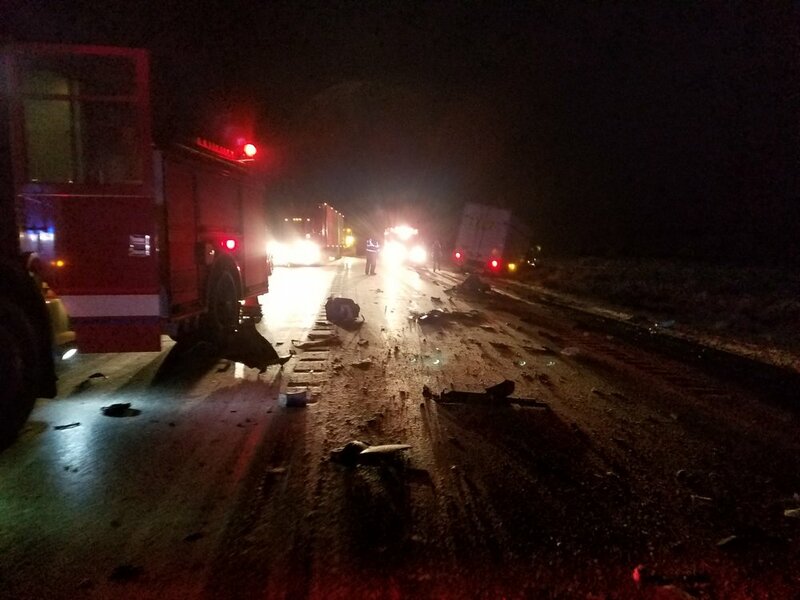 Preliminary investigation revealed that a red 2000 Ford F250, operated by Roy Everett Smith, age 64 of Bend was traveling southbound on Highway 97 near milepost 226, when he lost control of his vehicle on the icy roadway. The Ford traveled into the northbound lane of travel and colliding head-on into a green 2016 Kenworth CMV with trailer. The Kenwood was operated by Jeanne May McJunkin, age 65 and of Cheney, Washington. Roy Smith sustained fatal injuries and was pronounced deceased at the scene after lifesaving measures were made by medical personnel. Next of kin notification has been made. 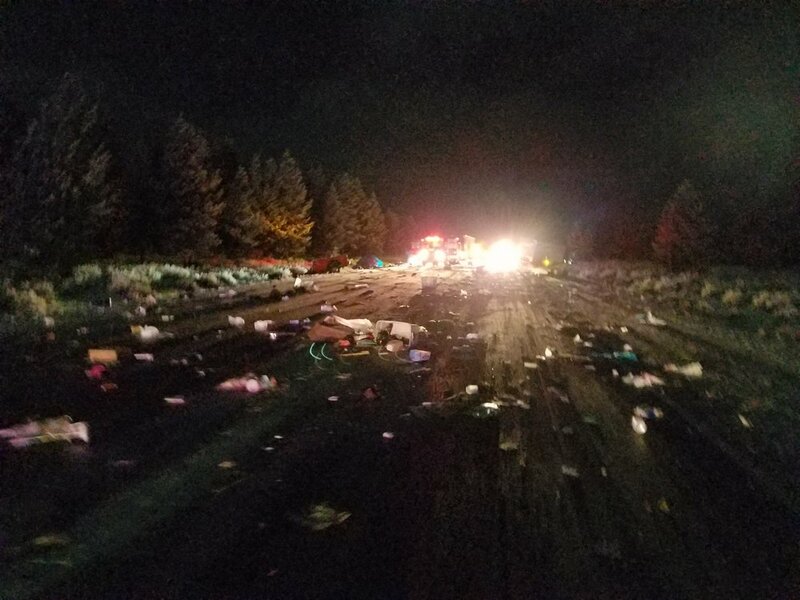 Jeanne McJunkin and passenger William Charles McJunkin, age 64 of sustained non-life threatening injuries and were transported by medical personnel to a local hospital. OSP was assisted by Chemult Fire Department and ODOT.